This is an Original Vaquero Wooden saddle tree with hard, dried up, ripped and torn leather. It has original wood stirrups and it is truly a great piece of history/ real Art that tells it’s own story. 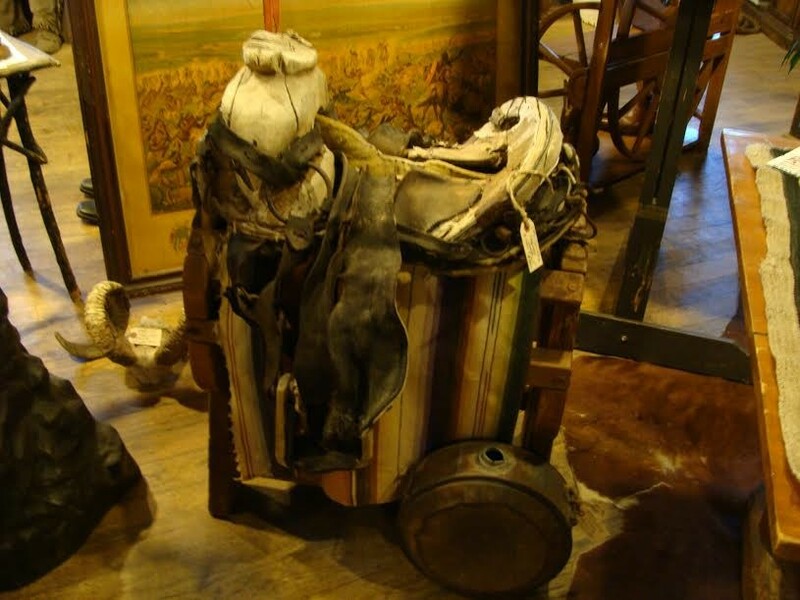 A piece to display in ones Western Room with charm of the Old West and it’s stories.... Please email cowboycabin@centurytel.net with questions or call 406 270-2842.